This review is for the Rockland Health Insurance Company. However, Rockland Insurance does not offer any type of health insurance, either for individuals or for businesses. Individuals looking to obtain health insurance must call an insurance agent or a different insurance company. Do you need health insurance? If so, use our simple tool below and enter your zip code in order to find health insurance coverage and products near you! 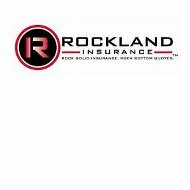 The Rockland Insurance Company offers several different types of insurance coverage, including auto insurance, homeowners insurance and renters insurance. Rockland Insurance serves as an agent and offers coverage from many different insurance companies, including all of the larger insurance companies located in Texas. The Rockland Insurance Company also has a Face Book page with a directly link to obtain an online quote, as well as opportunities for customers to interact online with the company. There are no regional offices or additional listings for Rockland Insurance Company.There is also no search tool to find an agent near you, so customers must call to get more information on receiving insurance coverage. The main phone number for Rockland Insurance is 281-242-0020. In addition, interested customers can enter their zip code in a simple search took on the Rockland Insurance website to find an agent near them. As mentioned earlier, Rockland Insurance does not provide health insurance to customers, so individuals looking for health insurance must contact another insurance company. To obtain and auto insurance quote, interested individuals must answer one question about whether or not they have carried car insurance during the last 30 days. If the answer is yes, the consumer can apply for insurance through Rockland. If the answer is no, they must answer questions about the type of coverage they would like. For the homeowner’s insurance coverage, the consumer must enter the home’s zip code, whether or not the home is new or was just purchased, and what type of coverage, if any, the customers has had during the last 30 days. Individuals interested in obtaining renters’ insurance must answer questions about previous coverage, the zip code of the property, and what company, if any, is currently insuring the customer. The Rockland Insurance Company also offers to pay an interested customer up to $100 if they cannot beat a customer’s current insurance quote, as well as $25 for each referral to their company. The Rockland Insurance Company does not; offer however, any type of health insurance coverage to individuals, families, or businesses. Customers looking for health insurance should contact another provider. There is no listing of Rockland Insurance on either the Better Business Bureau website or the A.M. Best Company insurance company rankings. However, there are some customer reviews available online regarding Rockland Insurance. These reviews are generally positive, and include both auto and home customers. In fact, all three online reviews for the Rockland Insurance Company were rated 5 out of 5 stars. Rockland Insurance also has a scrolling list of customer reviews and testimonials on their homepage. Rockland Insurance also claims to provide its customers with more than 40% in total savings by switching coverages to them. There is no listing on the Rockland Insurance website for career opportunities or job openings. This could be because there are currently no openings within the company, or because Rockland Insurance does not post their job openings online. Individuals that are interested in finding out more about available careers with Rockland Insurance Company are encouraged to call the main telephone numbers and inquire about openings or how they can submit their resume and cover letter. However, there are jobs posted on the Indeed.com website for openings with the Rockland Insurance Company. These listings are generated from a local website known as FortBendJobs.com. Interested individuals can apply for the position through the Indeed.com or FortBendJobs.com websites.